Silvery straw color. Aromas of lemon peel, dried peach skin, and wool with a satiny, vibrant, dryish medium-to-full body and a graceful, snappy celery, wet stone, and pineapple finish with soft tannins and no oak flavor. A clean and bright Pinto Grigio with wide appeal. Bottom Line: A clean and bright Pinto Grigio with wide appeal. 89 • 5 String 2015 Petite Sirah, Lodi 12.44% (USA) $21.99. 92 • Activist 2016 Private Reserve, Syrah, Santa Barbara County 13.38% (USA) $28.99. 91 • Armatura 2014 Governo all’uso Toscano, Rosso di Toscano IGT 13.3% (Italy) $22.99. 92 • Armatura 2015 Marche Rosso IGT 14.4% (Italy) $22.99. 90 • Avincerre 2015 Rosso Piceno DOC 13% (Italy) $17.99. 86 • Beeline 2015 Symphony, Lodi 12.1% (USA) $17.99. 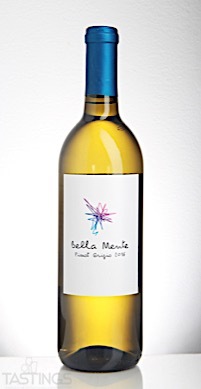 84 • Bella Mente 2015 Pinot Grigio, Venezie IGP 11.5% (Italy) $16.99. 88 • Bella Mente 2016 Pinot Grigio, Delle Venezie IGT 11.5% (Italy) $16.99. 84 • Bent Gate 2015 Cabernet Sauvignon, California 13% (USA) $17.99. 92 • Bright Eyed Bird NV White Blend, Paso Robles 14.96% (USA) $16.99. 86 • Caballeria de Luna 2015 White, Penedes 11.5% (Spain) $14.99. 85 • Caballeria de Luna 2016 Off-Dry White Blend, Penedes 12% (Spain) $14.99. 84 • Calamity Sue 2015 Riesling, Monterey County 11.3% (USA) $16.99. 93 • Calamity Sue 2016 Riesling, Arroyo Seco 13.1% (USA) $17.99. 86 • Fil Dore 2017 Pinot Gris, Pays d’Oc IGP 13% (France) $18.99. 81 • Giovina 2017 Montepulciano d’Abruzzo DOC 13.5% (Italy) $17.99. 88 • Hoot 2016 White Blend, Symphony-Muscat of Alexandria, California 12.4% (USA) $16.99. 86 • Hot Ticket 2015 Shiraz, Murray-Darling 14.5% (Australia) $16.99. 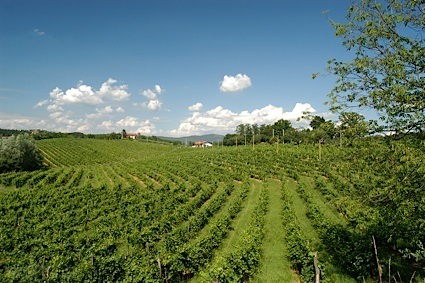 82 • Ibrido 2015 Manzoni Bianco, Veneto IGP 12.5% (Italy) $15.99. 90 • Ignia 2014 Red Blend, Portugal 13.9% (Portugal) $17.99. 92 • Ignia 2015 Portuguese Red, Portugal 13.8% (Portugal) $17.99. 89 • Ignia 2016 Portuguese Red Blend, Portugal 14.2% (Portugal) $17.99. 88 • Jitterbug 2016 Sauvignon Blanc, California 13.27% (USA) $17.99. 83 • Lancre 2016 Rose, Pays d’Oc IGP 12.5% (France) $16.99. 87 • LUXX 2014 Cabernet Sauvignon, Happy Canyon of Santa Barbara 14.3% (USA) $29.99. 89 • LUXX 2016 Sculpterra Vineyard, Merlot, Paso Robles 13.43% (USA) $29.99. 80 • LUXX 2017 Merlot, Monterey County 13.72% (USA) $29.99. 88 • Marula 2015 Pinotage, Western Cape 13.8% (South Africa) $15.99. 83 • Never Have I Ever 2017 Pinot Noir, South-Eastern Australia 13.2% (Australia) $16.99. 88 • OJA! 2015 Monastrell - Syrah, Yecla 14.4% (Spain) $15.99. 87 • OJA! 2016 Monastrell-Syrah, Yecla 13.9% (Spain) $15.99. 86 • Pebble 2016 Viognier, California 13.9% (USA) $17.99. 92 • Pebble 2016 Viognier, Paso Robles 13.3% (USA) $17.99. 87 • Peekaboo 2016 Chardonnay, South-Eastern Australia 13.1% (Australia) $15.99. 82 • Peekaboo 2017 Chardonnay, South-Eastern Australia 13.5% (Australia) $15.99. 85 • Rayado 2017 Cabernet Sauvignon, Central Valley 13% (Chile) $16.99. 88 • Scusami 2016 Nero D’Avola-Merlot, Terra Siciliane IGT 13% (Italy) $16.99. 88 • Small Hours 2012 Zinfandel, Lodi 14.3% (USA) $17.99. 84 • Small Hours 2015 Zinfandel, Lodi 16% (USA) $17.99. 84 • Small Hours 2016 Zinfandel, Lodi 14.6% (USA) $17.99. 90 • Smirk 2016 Moscatel, Western Cape 12.5% (South Africa) $15.99. 86 • Smirk 2017 Moscatel, Western Cape 12.5% (South Africa) $15.99. 88 • Spruzzi 2015 Grillo, Terre Siciliane IGP 13.5% (Italy) $14.99. 89 • State Room 2016 Cabernet Sauvignon, Western Cape 14.1% (South Africa) $17.99. 86 • Steeple Street 2016 Chardonnay, California 14.31% (USA) $17.99. 84 • Steeple Street 2016 Chardonnay, California 13.4% (USA) $17.99. 86 • Three Hearts 2017 Rosé, Pays d’Oc IGP 13% (France) $18.99. 82 • Tria 2013 Pinot Noir, Monterey County 14.09% (USA) $22.99. 85 • Tria 2015 Syrah, Lodi 16.3% (USA) $23.99. 93 • Tria 2016 Reserve, California 14.3% (USA) $25.99. 88 • Tria 2017 Syrah, California 13.9% (USA) $24.99. 87 • Whiskers 2014 Red Blend, High Valley 14.6% (USA) $19.99. 87 • Zapatazo 2017 Torrontes, Famatina Valley 13% (Argentina) $17.99. 85 • Zeffer Hills 2014 Chardonnay, Monterey 13.6% (USA) $17.99. Bella Mente 2016 Pinot Grigio, Delle Venezie IGT rating was calculated by tastings.com to be 88 points out of 100 on 10/3/2017. Please note that MSRP may have changed since the date of our review.